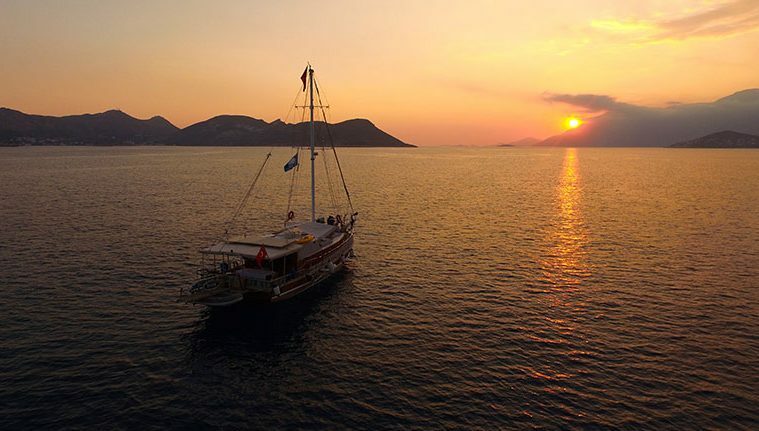 For many holidaymakers, a boat trip from Kalkan harbour is one of the highlights of their holiday. 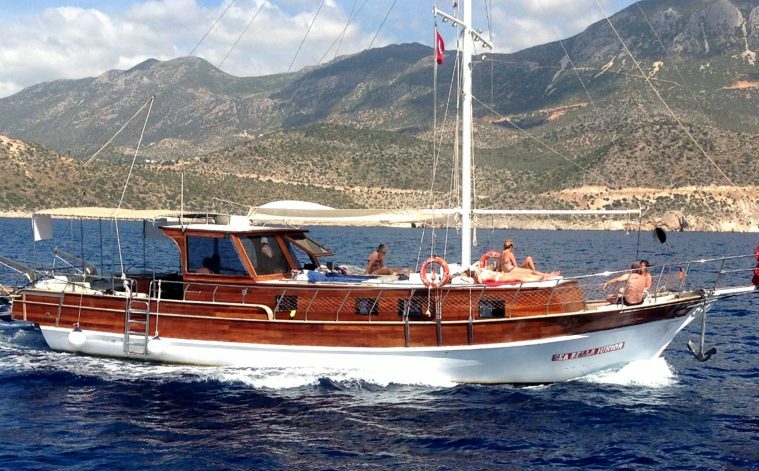 You can spend a lazy day relaxing on the boat, in the sun or the shade, whilst taking the occasional dip in the superb swimming waters. 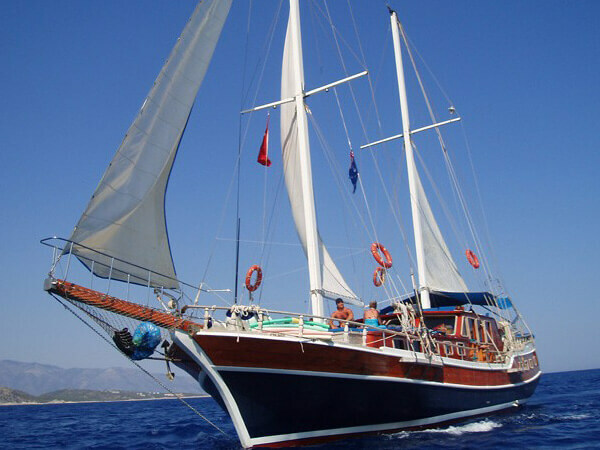 The trips are reasonably priced and a very tasty Turkish lunch, prepared by the friendly crew, is included in the price (it’s incredible what they manage to produce in such a small galley kitchen!). 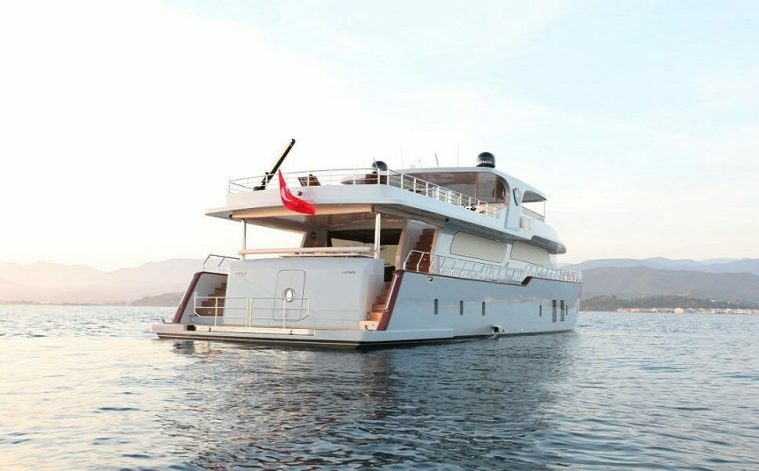 There are boats of varying sizes, and most can be chartered for groups, if you wish, (which can work out cheaper per head – although you will always need to book in advance). If there are only two or three of you and you go to the harbour just before 10.00, you will usually manage to find a boat with some spaces, but the trips are very popular, so at the height of the season it is a good idea, nevertheless, to book on a boat of your choice a couple of days in advance (or even earlier if you are a larger group, or want to book a charter for a specific day). You will need to go to the harbour to book in the evening, once the boats return from their day trip, from about 17.00 (so maybe before or after your evening meal).